When Artists Dry Up - video door phones,intercom system,video door phone,modules.CCTV. 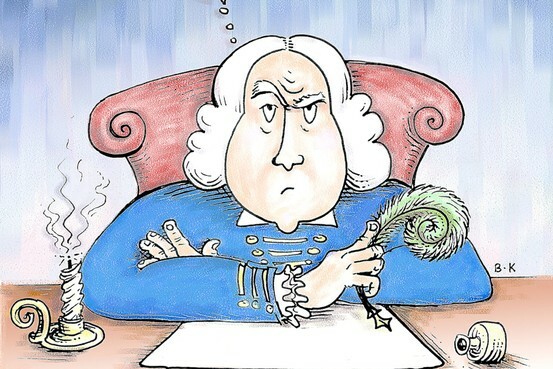 GuangZhou Lansidun Electronics Co., Ltd.
Samuel Johnson wrote less as he grew older, a fact that vexed his friends. One night in 1766 they ganged up on him and asked why he'd fallen silent. (Nowadays we might call that an "intervention.") "Ay, Sir, we have a claim upon you," Oliver Goldsmith told him, to which he replied: "No, Sir, I am not obliged to do any more. No man is obliged to do as much as he can do. A man is to have part of his life to himself." That should have shut everyone up, but James Boswell, who never knew when to stop, kept on ragging him. 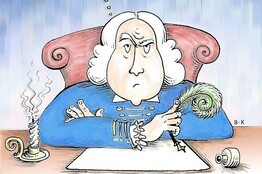 "I wonder, Sir, you have not more pleasure in writing than in not writing," he said. At that point Dr. Johnson, never the most patient of men, lost what was left of his temper and told Boswell, "Sir, you MAY wonder." I wouldn't be surprised if Kenneth Lonergan has recalled Dr. Johnson's retort from time to time. "Lobby Hero," Mr. Lonergan's third play, opened Off Broadway in 2001. "The Starry Messenger," his fourth play, opened there on Monday. Even for a perfectionist, that's a long time between bows, and I can't imagine what Mr. Lonergan went through in the eight excruciating years that separated those two opening nights. Writer's block is the ultimate nightmare of anyone who lives by his pen. In this country, its best-known victim was Ralph Ellison, who published "Invisible Man" in 1952, then never got around to finishing his second novel. The success of "Invisible Man" made Ellison a highly public figure, and his inability to follow it up followed him around like a stalker until his death in 1994. He claimed—apparently falsely—that 300 pages of his unfinished second novel were destroyed in a 1967 house fire. The truth seems to be that Ellison was so inhibited by having spawned a masterpiece at the age of 38 that he forgot the First Commandment of young writers: Thou shalt shut up, publish that second novel and take your critical lumps. At least Ellison managed to continue writing essays and articles. Jean Sibelius, Finland's greatest composer, finished his Seventh Symphony and a tone poem called "Tapiola" in 1926, then dried up and wrote no more music of any significance prior to his death in 1959. Sibelius is known to have been working for a time on an Eighth Symphony, but none of the sketches were found after his death, and he is thought to have burned them at some point in the '40s. It isn't known why Sibelius stopped composing. He never said anything about it, and nobody seems to have had the nerve to ask him. Aaron Copland, who found it increasingly difficult to compose after 1965 and fell completely silent in 1972, wasn't so lucky. Everybody in the music business knew that the dean of American composers had shut up shop, and he was asked repeatedly why he no longer wrote music. In public he kept his cool, declaring in 1980 that "I certainly don't feel tortured or bitter, only lucky to have been given so long to be creative." But Copland's friends knew that he was both puzzled and distressed by his inexplicable inability to produce new work. To one friend he confessed that "it was exactly as if someone had simply turned off a faucet." Painters and other visual artists seem to be less prone as a group to the kind of "artist's block" that stymied Copland, Sibelius and Ellison. One reason for this is that unlike serious composers or novelists, who are expected to break new ground each time they create a new work, an artist can frequently return to the same subject. Indeed, the market actively encourages artists to turn out their signature works in series, thus allowing large numbers of collectors to purchase a soup can by Andy Warhol. If Copland had followed up "Appalachian Spring" with "Appalachian Summer," it isn't likely that the sequel would have gone over very well with the public. This prolonged "fertility," alas, is too often factitious. The history of art is full of major figures who have lost the inspiration that sustained them throughout the earlier phases of their careers. Very often, of course, such artists keep on turning out new work, either out of financial need or mere habit, and fans and critics not infrequently manage to persuade themselves that their late works are equal in quality to the masterpieces that came before them. But who now thinks that Alfred Hitchcock's "Topaz" and "Frenzy" are half as good as "Strangers on a Train" or "North by Northwest," or that Pablo Picasso painted anything in the last couple of decades of his long life that was worthy of the creator of "Les Demoiselles d'Avignon" and "Three Musicians"? Me, I doff my hat to Sibelius, who knew that it's better to quit while you're ahead than to sully your posthumous reputation by continuing to "create" after you no longer have anything new to say. And while I envy Copland the saintly patience with which he handled journalists who kept on asking him why he'd stopped composing, I can't help wish that he'd taken a leaf from Dr. Johnson's book and told them, "Sir, you MAY wonder." Sometimes stupid questions deserve snappy answers. Copyright © 2019 GuangZhou Lansidun Electronics Co., Ltd.. All rights reserved.